Cytosolic lipid droplets (CLDs), the immediate precursors of milk lipids in lactating animals, undergo cell-specific changes in their formation and intracellular distribution during mammary gland differentiation. Cell biological studies indicate that CLD formation in mammary epithelial cells is regulated in part by AKT-dependent increases in glucose uptake. Proteomic studies show that CLDs from lactating mammary epithelial cells possess a distinct protein composition enriched in molecules involved in their secretion and intracellular transport. CLD secretion is dependent on lactation and requires the purine catabolic enzyme xanthine oxidoreductase (XOR). Confocal immunofluorescence microscopy of XOR in lactating and nonlactating mammary glands and biochemical analysis of secreted CLDs link the secretion process to the formation of a stable tripartite complex between XOR, adipophilin (ADPH), and butyrophilin (Btn). 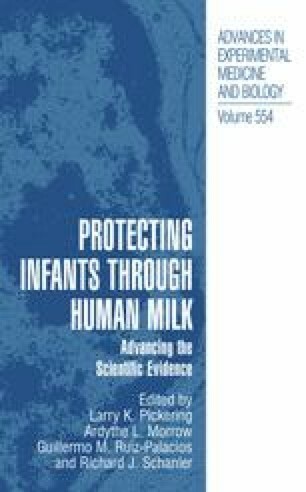 Together these studies provide a molecular and cellular framework for understanding the process of milk lipid formation.